This was meant to be a simple post (they almost always are), but then I got lost in a pile of pictures of things that came before (I really can’t help myself). So here I present you with the epic tale of our art center! 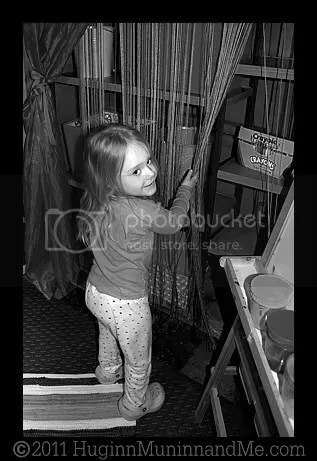 T has loved arts and crafts from the moment she discovered their existence. 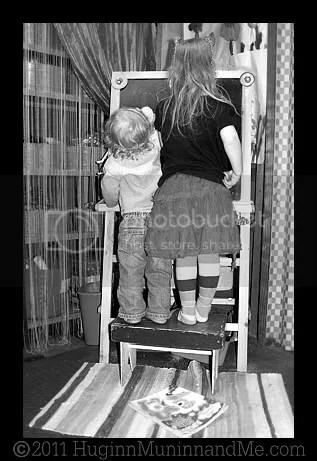 As a mommy, it seemed the thing to do to encourage the love – nurture the creative, and have a wonderful time doing it! I didn’t think it could ever become a problem. 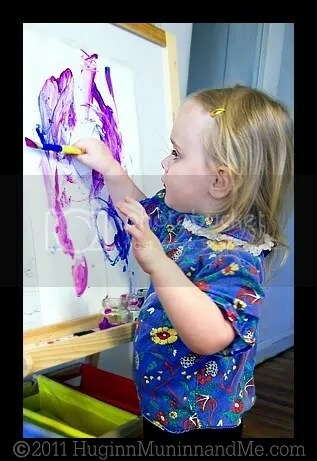 . .
From day one, T somehow had an understanding about the rules of crayons. She’s always been good about keeping them together, and we never had a problem with her even attempting to color on walls – or anything other than paper (except for a short time when she decided that her skin was fair game. 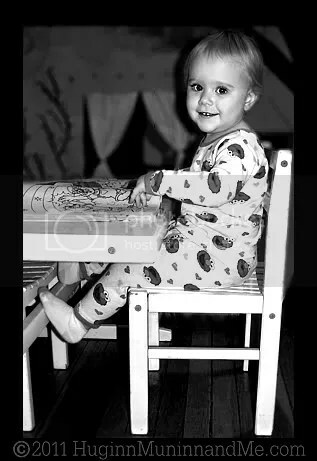 When scolded for this, she got out of it by claiming that she was drawing herself tattoos – just like daddy’s. That’s hard to argue with). Because of this inherent goodness (which I didn’t realize at the time was exceptionally rare in a tot), we were able to give her free access to her art supplies.It started out with a hand-me-down table and chairs, perfectly sized for a little one, on which we stored a crayon bucket and a few coloring books. By this time, we already had the first two of our daybabies, but they really were BABIES back then, so leaving fun stuff lying around wasn’t a problem. As T grew and learned, her craft supplies expanded, too. We went from crayons, markers, and finger-paints to full-blown toddler crafts. . . and our little box of supplies was starting to burst at the seams. It was time for an upgrade. We got hold of a tiny little art desk, which had a table top that lifted up for storage, and more storage in the seat. 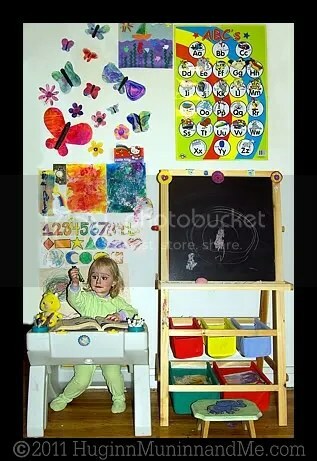 Then we added an easel with a chalkboard and lots of storage buckets to the fray. Now that she was creating so many fantastic things, she wanted them on display, and so a fairly large portion of our dining room was given over to the Puff and her artistic endeavors. 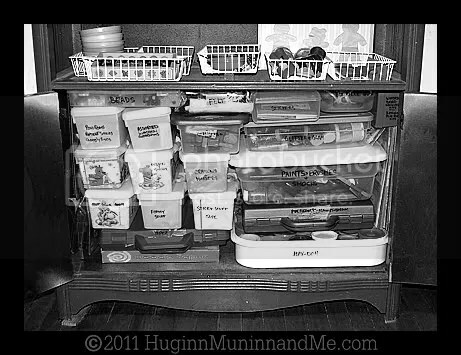 With every new craft came new fun supplies, stickers, glitter, googly eyes, pom-pom balls, bits of ribbon, beads, play-dough, paints, and pipe cleaners – the list grew and grew, and there were always leftovers to save for the next project. But by this point, the daybabies were on the move – and no longer able to be contained by strategically placed baby-gates! They were also learning quickly to love arts n’ crafts time, so we had to add enough extra to our mountain of art supplies for them to play, too! We were running out of storage space, so everything got moved into the bottom of the china cabinet – which filled up entirely too quickly. We somehow managed to keep it all contained well away from the tiniest of fingers. 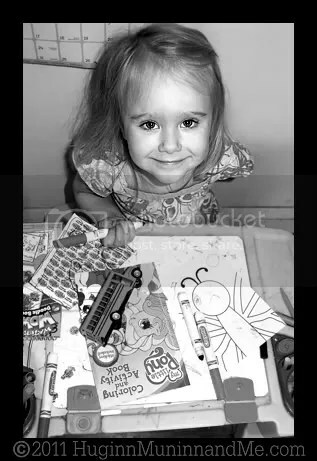 Since the littler ones were still napping two times a day, and T only once, we were still able to give T quite a bit of freedom in the picking and choosing of what form her creativity would take while the others were in dreamland. During T’s nap time, the youngers were awake, and they could pursue their own artistic endeavors – geared to fit their ages and skill-levels. But, you know, things change quickly when kids are involved, and before too much time had passed, everyone was on the same schedule. 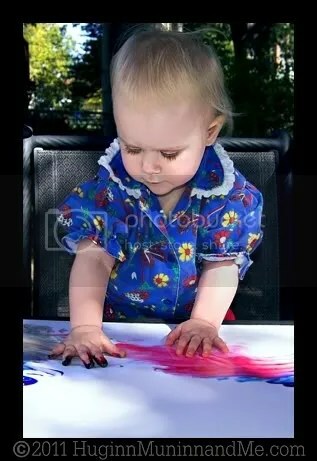 The youngers had proven only to be as good as ordinary toddlers as far as coloring on things that are not paper is concerned. 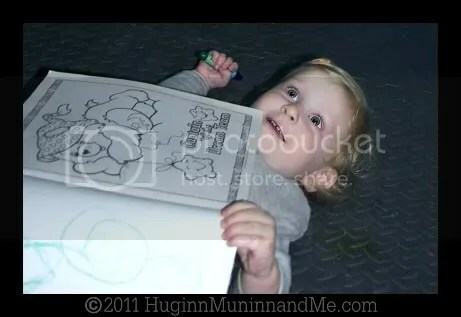 They needed constant supervision with the markers and crayons, which meant they had to be put somewhere else if T was going to retain the constant access that she’s always had. T’s little desk was moved into her room, along with her easel/chalkboard – but I couldn’t allow her paints in the bedroom, paint is just too messy! This is were’s where we really started to have a problem. . . T always wants to paint, EVERY kid always wants to paint! But with so many littles to smock and contain and clean up after, this just wasn’t a thing that we could do every day anymore. I felt so bad for her! It didn’t seem fair that my own daughter was unable play with her art supplies because of the presence of so many young children that don’t live here! As much as I didn’t like it, that’s just how things had to be. There were now three day-babies (toddlers, at this point! ), plus Teagan – and baby Ro was quickly approaching her first birthday! So we went to work to find a permanent solution to this seemingly never-ending problem. 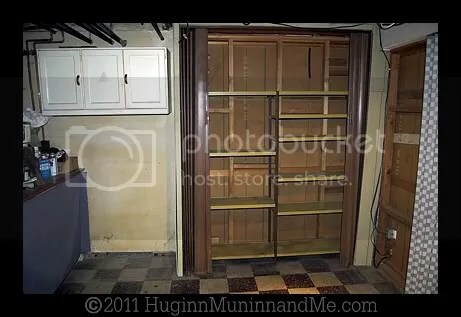 The basement was the only place left unoccupied in the house. It would be perfect! As you can clearly see, it’s just a basement. It isn’t finished or pretty or anything, so it wouldn’t be a big deal if paint should happen to splash or spill. But it was a high and holy mess! When we moved our bedroom to the attic to make room for Rowan, the storage that lived up there had to go somewhere, and the basement was the only place left for it. Not only that, but when we moved into the house with an infant Teagan three years before, the basement came complete with its own stash of clutter, unrelated to us, that we never found the time to sort through. It was a monumental task! After hours and days of naptime and after bedtime work, countless bags of trash, and a full truck-load of stuff sent off to the donation center, we managed to clear out a nice little spot for the new art center. But even clean, it’s still an ugly basement. And you can’t expect little girls to thrive in a dark and colorless basement! So we decided to brighten it up a little! 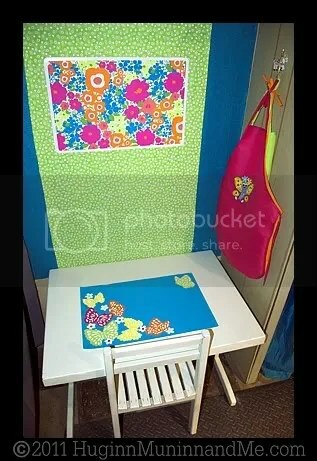 There was absolutely no budget to work with, but we were fairly determined, and managed to come up with quite a few bright and colorful things between my own arts and craft stash and a couple of trips to Big Lots. 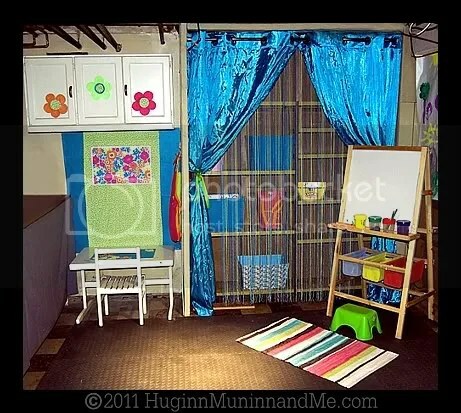 With only a few foam floor tiles, blue and green curtains, fabric scraps that were lying around, a brightly colored rug, and two placements, we decorated an art center that would make any preschooler swoon for well under $50! My parents bought T an awesome fluorescent light for her birthday, so the art center is brightly lit whenever T’s ready to play, and we recently snagged some under-cabinet lights to put in the nook through Freecycle! I guess the space looks prettier in the pictures, because I have cleverly cropped out the rest of the basement, which still looks exactly like a disaster area basement, but we’ll be there when we get there. For now? HOORAY! Finally, we have a complete and working ACTUAL art center, far away from fingers that aren’t allowed, but within easy reach for Teagan. 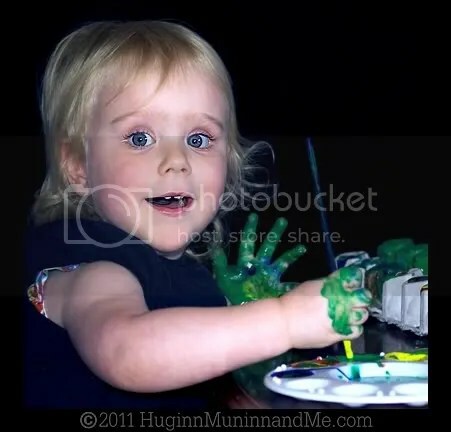 Paint pots can be set up in advance, so they’re ready to go whenever she wants them, and because my eldest child is the person that she is, I never have to worry about her using these things in ways she shouldn’t. 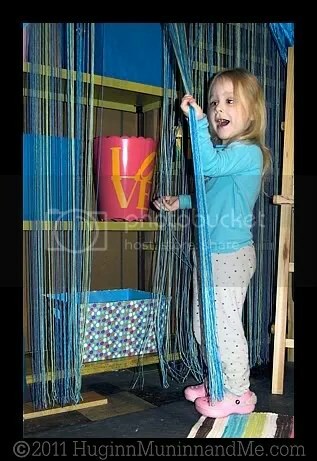 Not only paint, but all the fabulous crafty things that she loves . . . Like Moon Sand, and Play-dough, and Extraterrestrial Goo. Things that I can’t always do at the drop of a hat with five under five (and three of them under three) every day. The glorious mess is all contained in the BASEMENT. And there’s a utility sink for her to wash up in. I’m so happy that I don’t have to worry about it anymore!!! ALLof her art stuff is within easy reach, but we have one special bin called the ‘catch-all bin,’ in which we keep just a bit of anything she can think of to use in one of her many ‘projects.’ While the main stock-pile is safely contained on the shelves, there are small amounts of pipe cleaners, pom-pom balls, glitter, feathers, sequins, glue, ribbon, beads, tp rolls, pine-cones – pretty much anything she can think of in easy reach and in quantities small enough that an accidental spill doesn’t really matter. She actually does a pretty good job of keeping her center tidy, not that it doesn’t need some mommy love from time to time – but I have to step in far less often than you’d think. 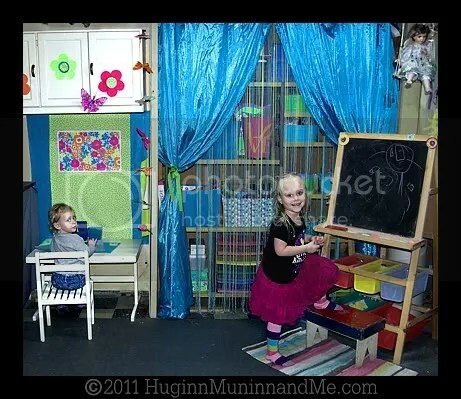 T has loved her art center from day one, and has already put in countless hours down there. 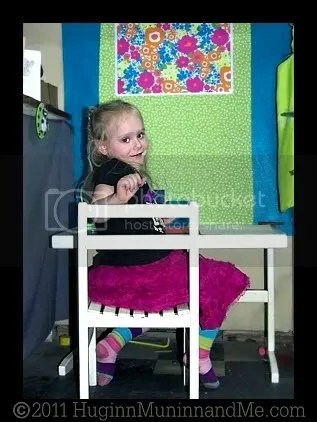 She comes up with all kinds of adorable and random crafts that she creates and shares with us, not counting general painting and coloring (I’ll save some of those for another epic post). I am so thrilled that we have finally found a way to give her full creative license to play freely with all of our wonderful art supplies in any way that strikes her fancy – and we still do more than our fair share of arts and crafts (both with and without the involvement of sisterkins and the rest of the daybaby crew) at the dining room table! And she isn’t the only one who loves the art center! Ro likes it, too – though for now she’s only allowed down there in direct supervision of a parent – and T has thus far been pretty good about sharing her space with her sister. We already have plans to extend it out a bit, and a second easel just waiting to be set up for Ro! And there you have it! The epic tale of our art center!